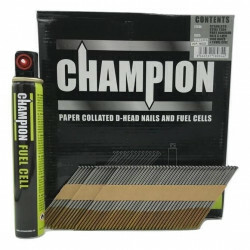 Evaluating the various brands of 1st fix collated nails can save you and your business lots of money. 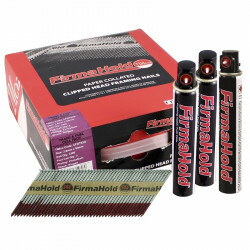 When it comes to the standard 34 degree clipped head nails there really is not much difference from one brand to another apart from the price. 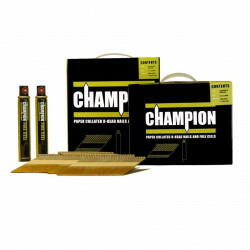 The most popular brand for collated nails is “Paslode” – a name so synonymous with collated nails that relatively few tradesmen don’t consider an alternative brand or even know that they are available. As a result of this, “Paslode” branded nails are very expensive, even with the cheaper trade supply stores. The Paslode Impulse IM350 and the IM350+ are probably the most widely used nail guns out there and most tradesmen will look to use the matching branded nails, but our nails will hold up just as well in these guns along with many more alternative guns that use 34 degree clipped head nails. 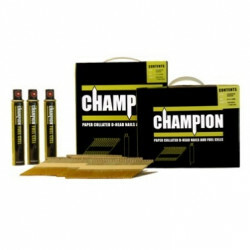 Our two trusted brands of collated nails are Champion and FirmaHold. In browsing these products you will find that they have both received positive feedback from our customers, especially if they have been paying for “Paslode” branded nails in the past. 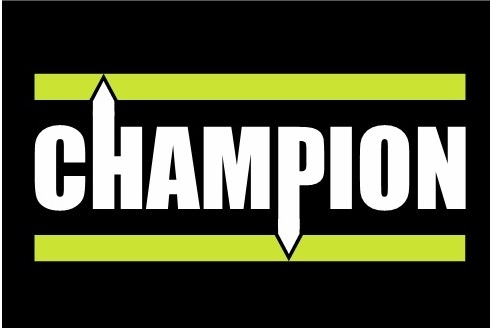 The cheapest of the two brands that we offer is Champion, but the price will not be reflected in the quality. 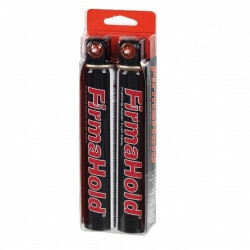 Our other brand is FirmaHold, the first alternative brand on the market, with a more established name than most of the other alternative brands available. The superiority of the two brands is purely down to preference. 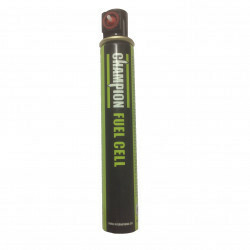 We have customers that only stick with Champion and customers that only buy FirmaHold. 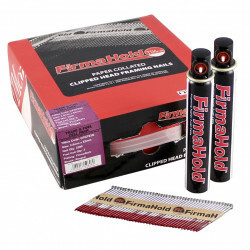 It is important to note that the fuel cells that come with the FirmaHold brand have a safety cap, which will need to be removed before they will fit into the nailing gun. We offer a complete range of bright, galvanised and stainless steel collated nails, to suit dry (bright) and damp environments (galvanised and stainless steel). 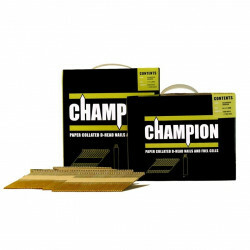 All the nail sizes, ranging from 51mm to 90mm are available with an annular ring nail shank and we also offer the 90mm smooth shank as well to help fire the nail all the way into the timber. 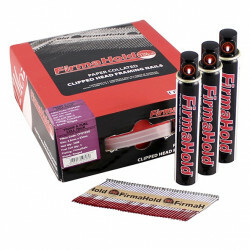 If you have a gun that does not require fuel cells, we sell nail only packs in most sizes. If you have any questions about our collated nails then please do not hesitate to give us a call on 01617941783 (8am to 9pm Mon-Fri) and we will be happy to point you in the right direction and answer any questions you might have. Alternatively, you could read our blog post about Paslode alternatives by clicking here for more information.